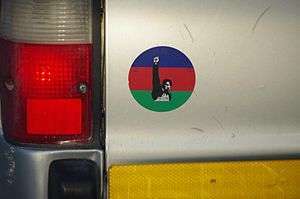 South West Africa People's Organization (SWAPO), [ˈswɑːpəʊ], (German: Südwestafrikanische Volksorganisation, SWAVO; Afrikaans: Suidwes-Afrikaanse Volk-Organisasie, SWAVO), officially known as SWAPO Party of Namibia, is a political party and former independence movement in Namibia. 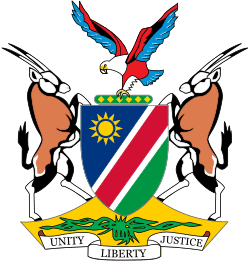 It has been the governing party in Namibia since achieving independence in 1990. In the general election held in November 2014, the party won 86.73% of the popular vote and 77 out of 96 seats. Though the organisation rejected the term South West Africa and insisted on replacing it with Namibia, the organisation's own name—derived from the territory's old name—was too deeply rooted by independence to be changed. However, the original full name is no longer used; only the acronym remains. As of 2015, Hage Geingob has been the president of SWAPO. After World War I the League of Nations gave South-West Africa, formerly a German colony, to the United Kingdom as a mandate under the administration of South Africa. When the National Party won the 1948 election in South Africa and subsequently introduced apartheid legislation, these laws were applied as well to South-West Africa. It was considered the de facto fifth province of South Africa. During 1962 SWAPO had emerged as the dominant nationalist organisation for the Namibian people. It co-opted other groups such as the South West Africa National Union (SWANU), and later in 1976 the Namibia African People's Democratic Organisation. SWAPO used guerrilla tactics to fight the South African Defence Force. On 26 August 1966, the first major clash of the conflict took place, when a unit of the South African Police, supported by the South African Air Force, exchanged fire with SWAPO forces. 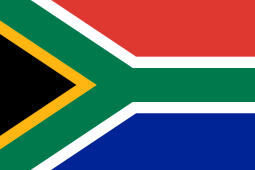 This date is generally regarded as the start of what became known in South Africa as the Border War. In 1972 the United Nations General Assembly recognised SWAPO as the 'sole legitimate representative' of Namibia's people. The Norwegian government began giving aid directly to SWAPO in 1974. 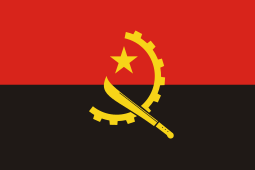 The country of Angola gained its independence on 11 November 1975 following its war for independence. The leftist Popular Movement for the Liberation of Angola (MPLA), supported by Cuba and the Soviet Union, came to power. In March 1976, the MPLA offered SWAPO bases in Angola for launching attacks against the South African military. 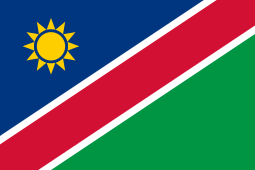 When Namibia gained its independence in 1990, SWAPO became the dominant political party. Its head Sam Nujoma was elected as Namibia's first President. Nujoma had the constitution changed so he could run for a third term in 1999, as it had limits of two terms for the presidency. 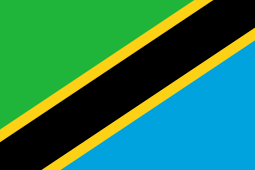 The party continues to be dominated in number and influence by Ovambo people. In 2004 the SWAPO presidential candidate was Hifikepunye Pohamba, described as Nujoma's hand-picked successor. In 2014 the SWAPO presidential candidate was Hage Geingob who was the Vice-President of SWAPO. The party president is the top position of SWAPO; in 2012 this was held by Namibia's former president Pohamba The vice-president is Namibia's current president Hage Geingob, who was elected to that position in 2007 and reconfirmed at the SWAPO congress in December 2012. The third highest position in SWAPO is the Secretary-General, a position held in December 2012 by Nangolo Mbumba. Number four is the Deputy Secretary-General, Omaheke Governor Laura McLeod-Katjirua. Like many socialist and communist parties, SWAPO is governed by a Politburo and a Central Committee. The party leadership is advised by a youth league, a women's council, and an elder council. SWAPO is a full member of the Socialist International. It was a member of the Non-Aligned Movement before the independence of Namibia. Namibia Today is the mouthpiece of the SWAPO. Its editor is Asser Ntinda. Various groups have claimed that SWAPO committed serious human rights abuses against suspected spies during the independence struggle. Since the early 21st century, they have pressed the government more strongly on this issue. Breaking the Wall of Silence (BWS) is one of the groups founded by people who were detained by SWAPO during the war and abused during interrogations. In 2004, BWS alleged that "In exile, hundreds of SWAPO dependants and members were detained, tortured and killed without trial." SWAPO denies serious infractions and claims anything that did happen was in the name of liberation. 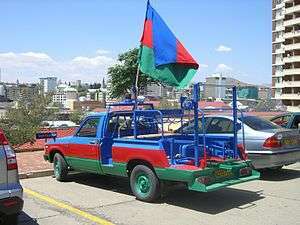 Because of a series of successful South African raids, the SWAPO leadership believed that spies existed in the movement. Hundreds of SWAPO cadres were imprisoned, tortured and interrogated. In 2005 the P.E.A.C.E. Centre (People's Education, Assistance and Counselling for Empowerment) conducted an extensive study on the lives of Namibian ex-fighters and their families fifteen years after Independence. Their published ebook investigates the post-independence lives of those who fought on both sides of the Namibian War of Independence. Data from this research indicate that ex-fighters still exhibit symptoms of long-term post traumatic stress disorder (PTSD). The findings indicate there is a correlation between the life circumstances of ex-fighters and their lack of resilience to traumatic war experiences. Resiliency has been linked to a number of protective factors, such as the socio-economic situation of the survivors, their socio-political environment, their social support networks, and their cognitive processes. The study says that, in the case of Namibian ex-fighters, long-term psychological distress is different from a simple PTSD diagnosis. The survivors have almost invariably gone for nearly two decades without seeking treatment, adding to their burdens. During this time, the ex-fighters have been exposed to additional social and psychological stressors through life events. For a person without PTSD, such stressors may have fleeting effects, but for a sufferer of long-term psychological distress, each life incident could reduce the survivor's resilience to trauma, as well as triggering "flashbacks" to events during the war. ↑ Tötemeyer, Gerhard (December 2007). "The Management of a Dominant Political Party system with particular reference to Namibia" (PDF). Friedrich Ebert Stiftung. Retrieved 9 June 2011. ↑ Dauth, Timothy (17 January 1995). "From Liberation Organisations to Ruling Parties: The ANC and SWAPO in Transition". NamNet Digest, Vol. 95, no. 3. Retrieved 9 June 2011. 1 2 Matundu-Tjiparuro, Kae (19 April 2010). "The founder of Swapo". New Era. ↑ Eerikäinen, Marjo (14 July 2008). "The South Africa Mandate 1915–1989". Vantaa. Retrieved 15 March 2011. ↑ "Formation of the South African Republic". South Africa History Online. Retrieved 15 April 2011. ↑ "Namibia: Apartheid, resistance and repression (1945–1966)". Electoral Institute for the Sustainability of Democracy in Africa. August 2009. Retrieved 15 April 2011. ↑ Eriksen, Tore Linné. Norway and National Liberation in Southern Africa. p. 90. ↑ "NAMIBIA: Election expected to be low-key". IRIN. 2004. Retrieved 9 November 2007. ↑ "Elections in Namibia". Retrieved 7 February 2009. ↑ Immanuel, Shinovene; Shipanga, Selma (3 December 2012). "Moderates prevail". The Namibian. ↑ Immanuel, Shinovene (19 February 2014). "Kazenambo joins Swapo's politburo". The Namibian. ↑ "Newly elected members of the Swapo Politburo". The Namibian. 12 December 2012. ↑ Poolman, Jan. "New blood in Swapo CC". The Namibian. Retrieved 3 December 2012. The offline version of the article contains the list of elected CC members. ↑ "Matter of Fact". The Namibian. 4 December 2012. |access-date= requires |url= (help) This erratum was only published offline. 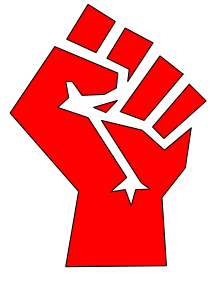 ↑ List of Socialist International parties in Africa. ↑ "SWAPO distances itself from mouthpiece's Kameeta attack", The Namibian, 18 February 2003. ↑ Gewald, Jan-Bart (September 2004). "Who Killed Clemens Kapuuo?" (PDF). Journal of Southern African Studies. 30 (3). doi:10.1080/0305707042000254100. ISSN 0305-7070. ↑ Leys, C.; S. Brown (2005). Histories of Namibia. London: Merlin Press. ISBN 0-85036-499-X. 1 2 LeBeau, Debie (September 2005). "An Investigation into the lives of Namibian Ex-fighters fifteen years after Independence" (PDF). People's Education, Assistance and Counselling for Empowerment (P.E.A.C.E.). Retrieved 26 August 2011. "Namibian Voters Deny Total Power to SWAPO," by Michael Johns, The Wall Street Journal, 19 November 1989.